A campaign to improve the visibility of fishing gear at sea is appealing to sailors to report all cases of entanglement. The RYA said a lack of data could jeopardise attempts to get gear properly marked. The appeal comes after the Cruising Association (CA) launched a petition urging the Government to take action to make lobster pots safer for small vessels. The petition needed 10,000 signatures in order for the Government to respond, which is achieved earlier this year. Member Mike Price – who’s boat Moody Blue has recently been badly damaged by a whelk net – signed the petition and has now received a response from the Department of Environment, Food and Rural Affairs. The Government takes safety at sea seriously. The UK has regulations in place regarding the marking of fishing gear. We are looking at areas in which the enforcement of regulations can be enhanced. The UK has clear rules in place regarding the marking of all fishing gear. Council Regulation (European Commission) No. 1224/2009 outlines the rules applicable to all fishing vessels using passive (static) gear to mark fishing gear so that it is clearly identifiable. 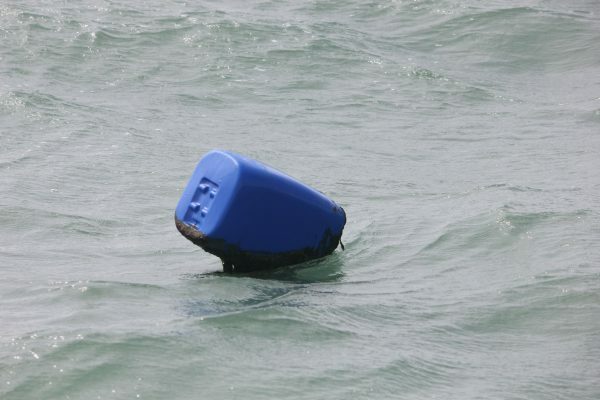 Further to this, the detailed rules for implementing this regulation outline the requirements for marker buoys to ensure visibility. The Marine Management Organisation (MMO) undertake the enforcement of this regulation within England’s Exclusive Economic Zone (0-200 nautical miles) and have the power to investigate and take action. The Inshore Fisheries and Conservation Authorities (IFCAs) have regional responsibilities within inshore waters (6 nautical miles). In instances where non-compliance is found, the master, owner or charterer of a fishing vessel may be fined or prosecuted for unmarked or poorly marked gear. The government is looking at areas in which the enforcement of regulations can be enhanced. We have met with the Royal Yachting Association who have developed an online reporting form to allow fishers and boaters to identify any incident involving fishing gear. The collection of data from this process may help identify any potential solutions. The RYA’s comprehensive, online Fishing Gear Incident Reporting Form can be used to report observations of poorly marked gear as well as entanglement incidents involving fishing gear. This entry was posted in Club News and tagged fishing gear, Government Petition, incident reporting, lobster pots, RYA by Commodore. Bookmark the permalink.